Tamás Roska received the Diploma in electrical engineering from the Technical University of Budapest in 1964 and the Ph.D. and D.Sc. degrees in Hungary in 1973 and 1982, respectively. He is the Fellow of the IEEE and elected member of four Academies of Sciences in Europe. 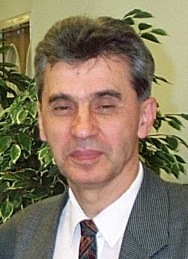 Since 1964 he has held various research positions, since 1982 he has been with the Computer and Automation Research Institute of the Hungarian Academy of Sciences where he is presently head of the Analogic and Neural Computing Research Laboratory and the Chairman of the Scientific Council. He is also a Professor and had been a founder Dean of the Faculty of Information Technology at the Pázmány P. Catholic University, Budapest. Professor Roska has taught several courses, presently, he is teaching graduate courses on "Nonlinear Dynamics and Emergent Computations" and "Cellular Wave Computers and Visual Microprocessors". Since many years he is directing a Multidisciplinary Doctoral School. In 1974 and since 1989 in each year, he has been a Visiting Scholar at the University of California at Berkeley. His research interests: cellular wave computing, info-bionics, cellular neural networks, nonlinear circuit and systems, neural electronic circuits, and analogic spatial-temporal supercomputing and computational complexity. He has published more than hundred research papers and four books (partly as a co-author). His seminal paper on the CNN Universal Machine, co-authored by L. O. Chua, has received close to 500 citations, and five of his papers published in 1992 and 1993 has been among the most cited papers of the IEEE Transactions I and II in the last 15 years. Alltogether, he has more than 2000 citations. Dr. Roska is a co-inventor of the CNN Universal Machine (with Leon O. Chua) and the analogic CNN Bionic Eye (with Frank S. Werblin and Leon O.Chua), US patents of UC Berkeley. During the last 15 years he has received two NSF grants, four ONR grants, two EU Grants and several Hungarian Grants. He has been a founding member of two spin/off companies, one in Berkeley and one in Budapest. In 2002 and 2003 he had been serving as Editor-in-Chief of the IEEE Transactions on Circuits and Systems He is a member of the Editorial Board of the International Journal of Circuit Theory and Applications, the International Journal on Bifurcation and Chaos, the Journal of the Franklin Institute, and the Neural Processing Letters. He has been a founding Chair of the Technical Committee on Cellular Neural Networks and Array Computing in the IEEE Circuits and Systems Society. He received the IEEE Third Millenium Medal and the IEEE Circuits and Systems Society's Golden Jubilee Award. He has been awarded a "doctor honoris causa" from the University of Veszprém. For 4 years, in Hungary, he had been the advisory Chair of the National R&D Program on Information and Communication Technology, and since 2005 he is serving in the Advisory Committee of the EU Commissioner (~Minister) in the Commission of Information Society and Media Technologies in Brussels. Dr. Roska received in Hungary the Széchenyi Prize, the Szentgyörgyi Prize and the D. Gabor Prize, the Grand Prize of the "Pro Renovanda Cultura Hingariae", and the 2002 Bolyai Prize, given biannually to one Hungarian Scientist. Dr. Roska is a member of the Hungarian Academy of Sciences, the Academia Europaea, the European Academy of Arts and Sciences, the St. Steven Academy, and a Fellow of the IEEE.